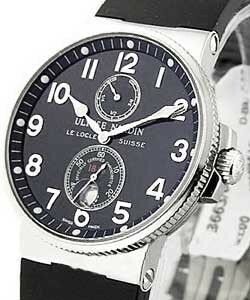 This watch is also known as: 263-66-7-62 , 263-66-7.62 , 263-66-7M/62 . 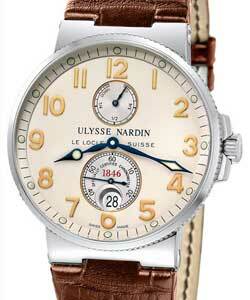 Ulysse Nardin Maxi Marine Chronometer Mens Wristwatch. 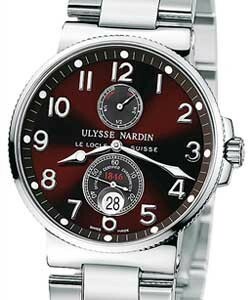 The features of Ulysse Nardin Maxi Marine Chronometer Style Number:263-66-7.62 are Stainless Steel Case,Black Dial Color,Stainless Steel Watch Bracelet/Strap,Deployant Watch Clasp,Automatic C.O.S.C. 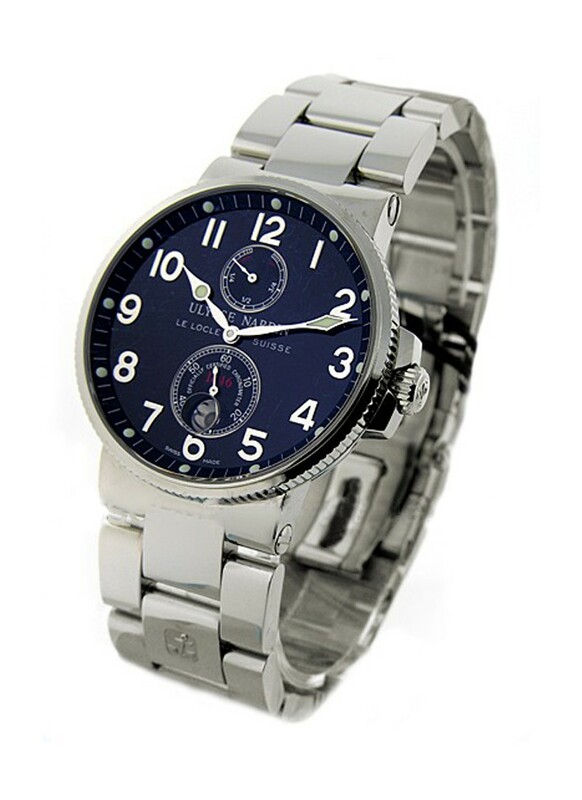 Movement,Sapphire-Scratch Resistant Crystal,Stainless Steel Fixed Bezel Material,Stainless Steel Caseback,41.0 mm Case Diameter,12.5 mm Case Thickness. 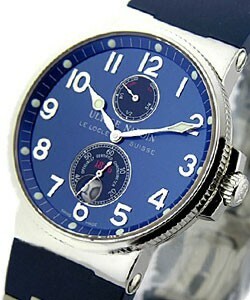 Ulysse Nardin Maxi Marine Chronometer Functions are Hours, Minutes, Seconds, Date, Power-Reserve. 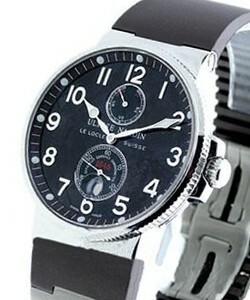 Water Resistance is 200m / 660ft (suitable for swimming, snorkeling, skin diving; unsuitable for diving unless noted). 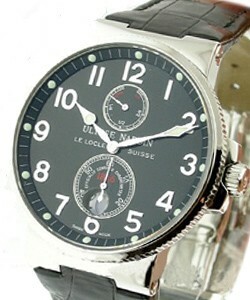 Other feature is Automatic Magnified Date within Seconds Sub Dial Calendar. 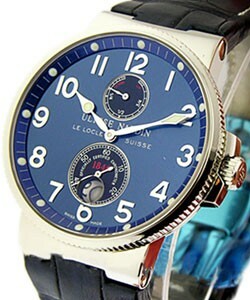 All this features make Ulysse Nardin Maxi Marine Chronometer a perfect timepiece that will reflect the sense of men's style and passion about life.